Wonderful staff and doctor. Dr. Gedeon has superb bedside manner and takes the time to make sure the patient is comfortablewith each part of the visit. Would highly recommend to others in the area looking for a great dentist! Wonderful staff and doctor. Dr. Gedeon has superb bedside manner and takes the time to make sure the patient is comfortable with each part of the visit. Would highly recommend toothers in the area looking for a great dentist! From the moment I spoke with Dr Gedeon, I knew he was the right dr for me. As a complete dentistphobe, I had a difficult time finding the right practice. Dr Gedeon not only provided a painless procedure, but he also patiently provided a thorough explanation. He is fast, thorough, and completely professional. I would highly recommend him and his excellent staff. He’s a godsend! From the moment I spoke with Dr Gedeon, I knew he was the right dr for me. As a complete dentist phobe, I had a difficult time finding the right practice.Dr Gedeon not only provided a painless procedure, but he also patiently provided a thorough explanation. He is fast, thorough, and completely professional. I would highly recommend him and his excellent staff. He’s a godsend! Unlike other dental providers in Bergen county Dr. Gedeon is driven to provide the highest quality of care that his patients can afford, no matter what their needs are. Our in-office and 3rd party treatment financing combined with competitive pricing means that no patient has to go without the care they truly need. We also coordinate coverage through many dental insurance plans, so that our patients won't ever be surprised about the cost of their treatment. 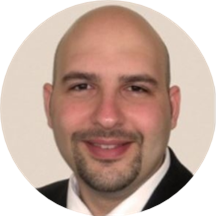 After graduating with honors from the University of North Carolina at Chapel Hill, Dr. Gedeon attended dental school at the University of Medicine and Dentistry of New Jersey and graduated in 2006. On average, he takes over 100 hours of continuing education each year, in an effort to constantly further his knowledge and skill of dental advancements and techniques in patient care. The study groups that Dr. Gedeon participates in are considered to be some of the most elite educational providers in the dental profession. Dr. Gedeon is the best doctor ever! My husband, both of our kids and I are loyal patients. You can not wish for better care! My family and I have been going to Dr. Gedeon for over 5 years and we highly recommend him. He's very patient, and always explains what he's doing in a way that everyone can understand. We have never felt pain whenhe injects local anesthesia and he has a gentle way of working were the pain is minimal. As always the doctor and his staff are extremely professional and make you feel comfortable at all times. Would highly recommend this office to anyone. Visit was good no problems.